Pruning is absolutely required for good flower development and to prevent woody stalks. We find the best time to prune in the Pacific Northwest is late fall just before the first frosts come. At the farm this is usually early to mid-November. We use hedge trimmers to prune the 25,000 plants in our fields. Small garden scythes, clippers or scissors work great for a few plants in the garden. Cut the flowers and stalks down to within two leaf nodes above the grey/brown woody part of the stem at the very base of the plant (leaving approximately 2-3 inches of green stalk). As you do so, try to maintain a compact hemispherical shape. 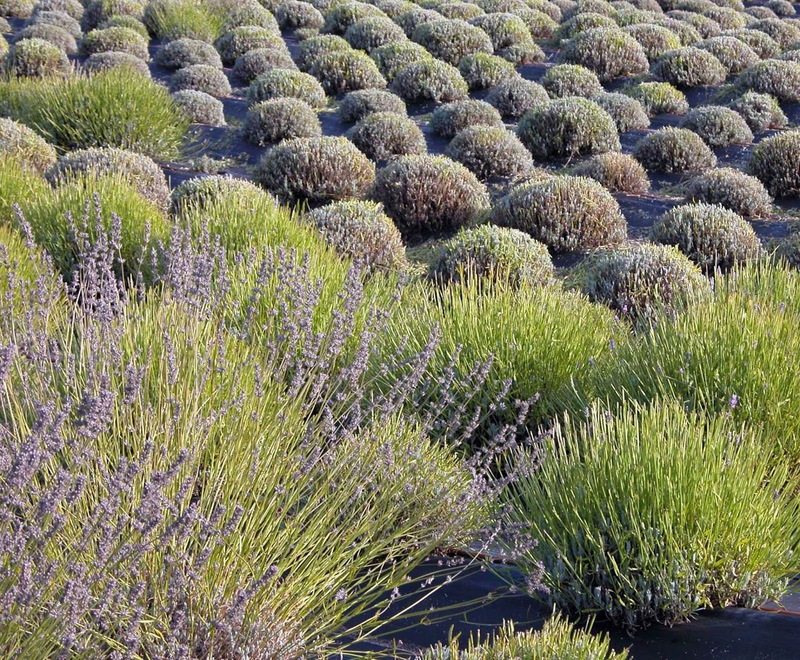 This will help maintain the shape of the lavender plant the following season. 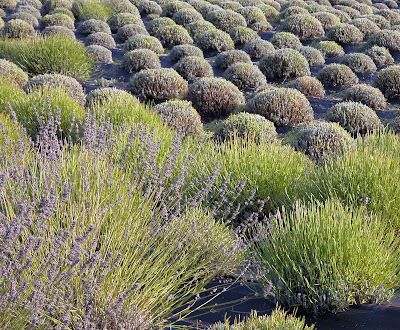 When you are finished the lavender plant should look like a little hedgehog. Not cutting down this far can result in the plant becoming leggy over time, or growing so large that with a full flourish of flowers it can become unduly top heavy, leading to the main trunk splitting and potential plant death. On the other hand, cutting too far, namely into the woody part of the stem, can decrease plant life significantly. 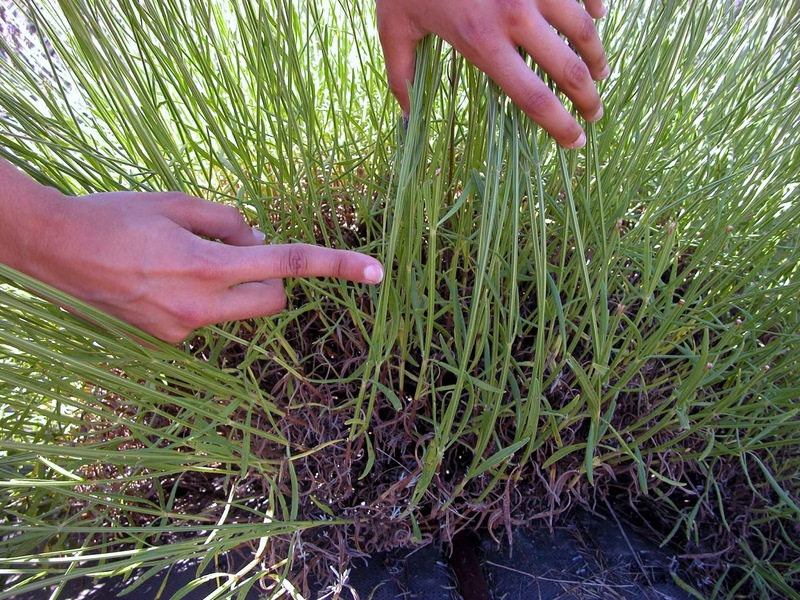 In the image below, three stages are visible — the plant in the foreground (bottom left) has not yet been harvested, the plants immediately and to the right of that plant have been harvested but not yet pruned, and the plants in the background have been pruned. Once pruned the plants enter their winter dormancy until the new growth appears in the spring. 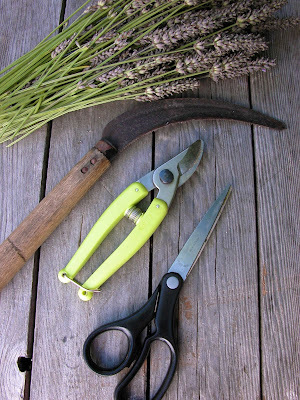 If you have any questions about pruning your lavender plants or general lavender plant care, please feel welcome to email us. Happy Pruning! 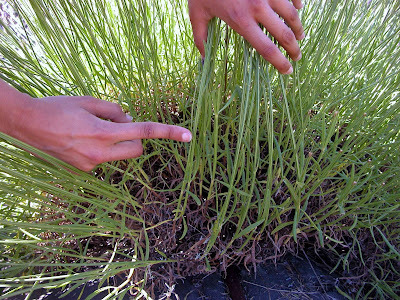 More Lavender Cultivation, Harvesting and Pruning Photos from the Farm.